Secure your home with industry-tested, high-quality roofing materials provided to you by our company. As a roofing contractor Richfield MN, we are on a mission to provide you with rooftop repairs and replacements at your doorstep. We offer a variety of roofs which will not only add extra style and financial value to your home but also guarantee your safety and security for the future. We also offer roof replacements; if this is required we inspect the damaged roof and provide the right advice and service to replace it to a high standard. On top of that, we offer free inspection services which would allow you to be able to speak with us before we even begin any work. 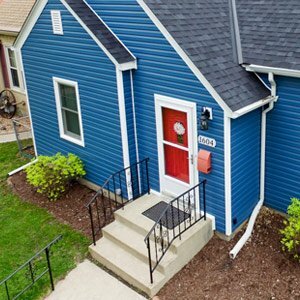 As roofing contractors based in Richfield, Minnesota, our company is staffed with a talented and trained team of professionals who are well versed in all areas of roofing. We understand that the roof is an integral part of a house and so will always provide staff who are well versed in being able to supply safe and secure roofing services. Our experience dates back a long time in the areas around Richfield. We are equipped with the expertise and knowledge to handle any roofing situation in the most efficient and effective manner. 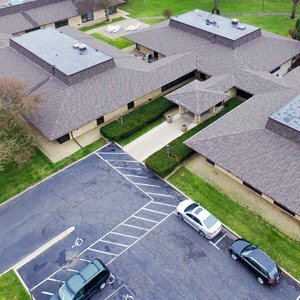 You can count on our roofing professionals as we have been providing high-quality roofing services in the area of Richfield, Minnesota for over 10 years. Let us visit your house to inspect your roof if you feel worried about its stability. We will answer your questions and provide you with a detailed plan as to what the current condition looks like and how we will approach the problem and repair it. Our professionals have experience in dealing with a variety of roof types, so you can trust us to be able to confidently guide you through to making the right decision. As a roofing contractor based in Richfield, Minnesota, we always give consideration tohow your house will look compared to others in the area and are well aware of the possibility of roof damage due to rainfall, heavy storms, and hail. These seasonal storms can damage your roof, but there is no need to worry because that is what we are here for! With our service you can take advantage of a free inspection in which we can work out what is best for your home, before finalizing a plan which considers everything including cost, value, aesthetics, and service. As a reputable roofing contractor, we will not only provide you with a top-notch service in roof repairs and replacement, but we charge reasonable prices for any work carried out. Our vision is to ensure that you are happy, secure, and safe following our work. Our staff believe in our core values, which include a focus on great service, trust, and excellence. We try to approach our customers by stepping into their shoes. We take care of homes as if they are our very own. Our trust goes both ways, and we will not let you down. If you require roofing services and assistance, do reach out to us! click here to know about what The Best Roofing Contractor St Louis Has to Offer.